Although a chain restaurant, BJ’s still has a decent variety of food and drinks to be in my regular rotation. 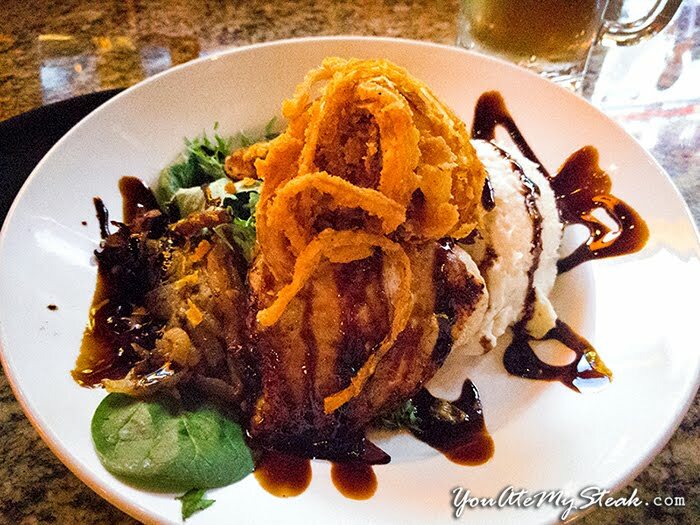 Tonight I had one of my BJ’s favorites- Balsamic Glazed Chicken (two breasts!) with baby field greens, caramelized onions and white cheddar mashed potatoes. 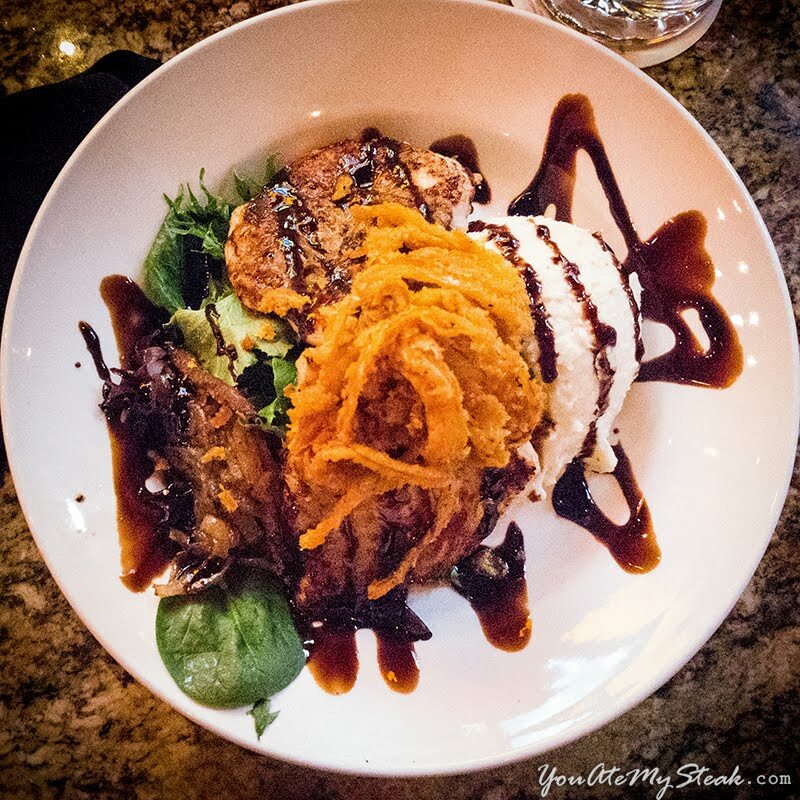 Topped with crispy fried onion strings and drizzled with sweet balsamic glaze. Dessert was a Mini White Chocolate Macadamia Nut Pizookie with Vanilla Ice Cream. Be sure to sign up for their BJ’s rewards program. It’s free to join and you just accrue points every time you eat there. Eventually you receive rewards like free meals, buy one-get one free, free birthday pizookies, and other neat discounts. In fact, the meal in this post was all free because of this rewards program. If you want something non-alcoholic but also no caffeine to keep you up, they have caffeine-free cream sodas, root beers, and black cherry sodas. 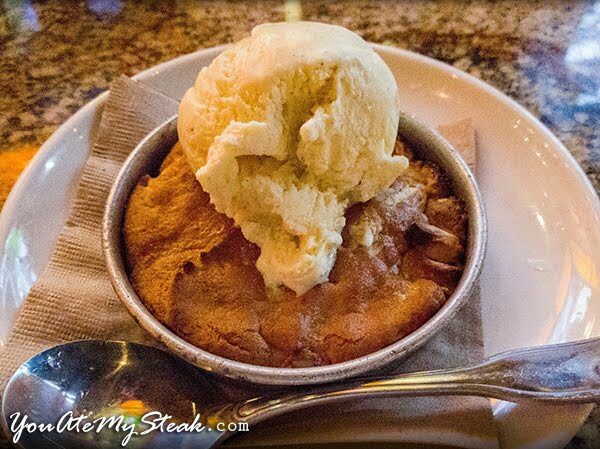 Don’t forget that Pizookie’s also come in “mini”size. Not only are they cheaper, they’re just the right size so that you can finish the whole thing (and not feel bad). My favorite pizookie is the Salted Caramel. Then the White Chocolate Macadamia nut. It used to be the Red Velvet when it’s on the menu.